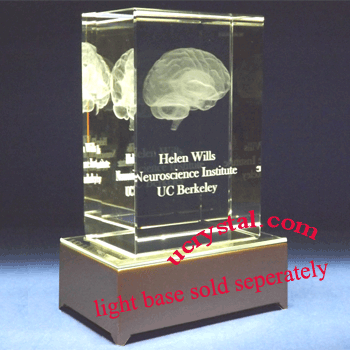 3D or 2D Selection: 2D - 4" x 3-1/2" x 1-1/2" 3D-1head shot(+$18.00) -4" x 3-1/2" x 1-1/2" 3D-2head shots(+$36.00) -4" x 3-1/2" x 1-1/2"
Our 3D heart photo crystal for 3D personalized photo crystal gift has been very popular as a wedding anniversary gift and engagement gift. 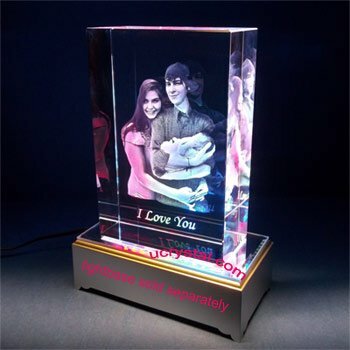 It is also widely ordered as a Valentine’s Day gift. 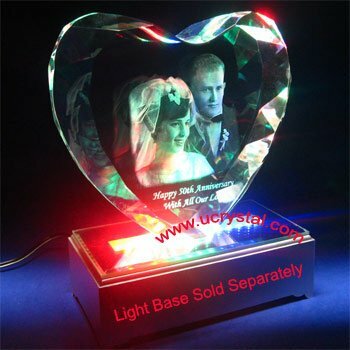 These 3D heart photo crystals are tailor made as wedding and wedding anniversary crystal gifts, Valentine’s Day gifts, gifts for the bride, gifts for the groom, and Christmas gifts for your loved ones. 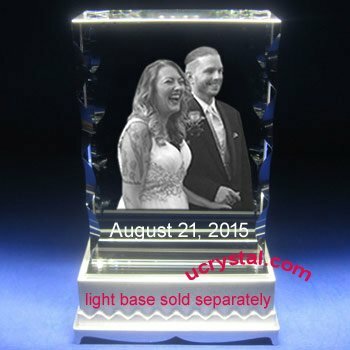 The 15th wedding anniversary is the crystal year. 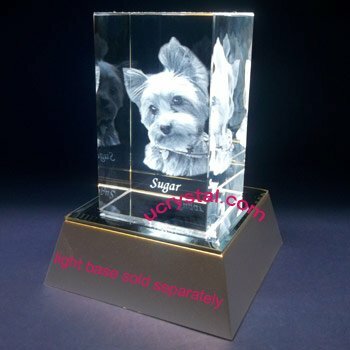 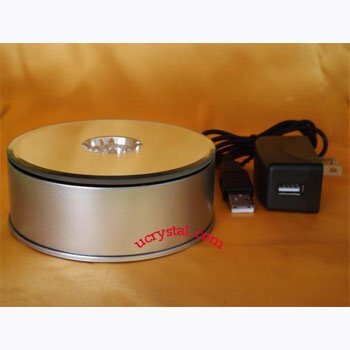 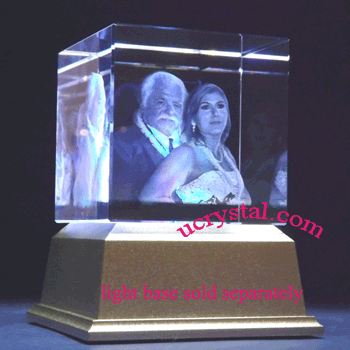 Many of our customers order this as 15th wedding anniversary for him or 15th wedding anniversary for her crystal gifts. 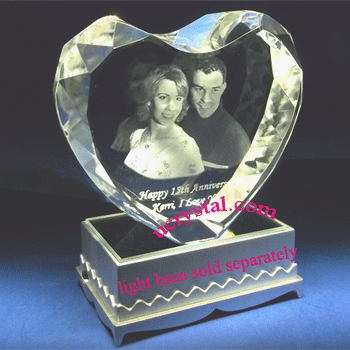 This 3D photo crystal heart is carefully polished into a heart shape and the edges are faceted to add extra elegance. 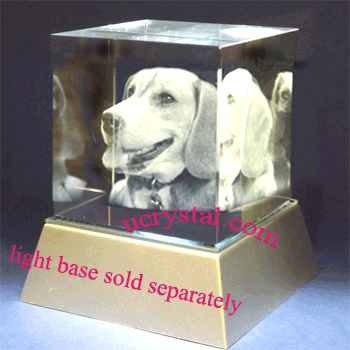 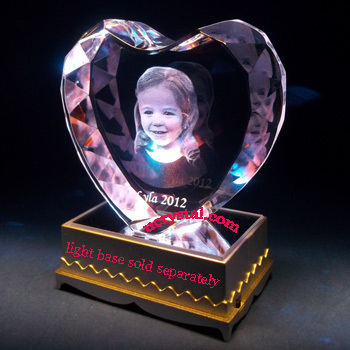 With a single one-dimensional photo, we are able to convert it into a unique 3D photo and use a laser to etch it inside the crystal heart. 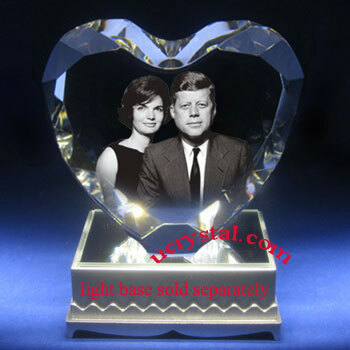 As shown in the example, the crystal heart can be used either for a single person or for a couple. 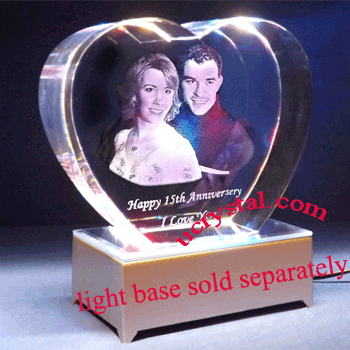 This 3D heart photo crystal is designed for your wedding photo crystal package with a beautiful light base. 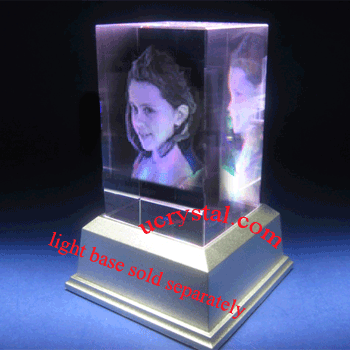 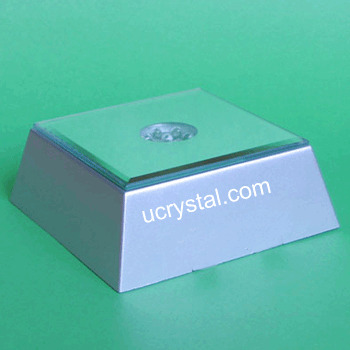 Scroll down this page and you will see the suitable light bases for the 3D photo crystal heart. 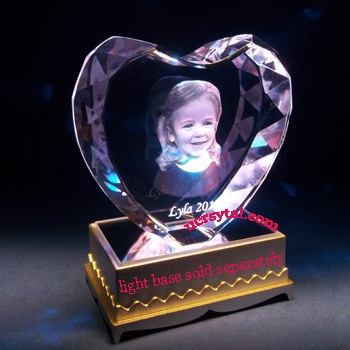 Laser etched 3D photo crystal heart. 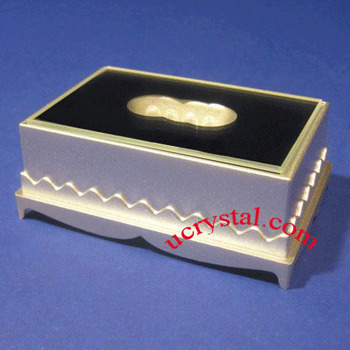 Size: 4" width x 3-1/2" height x 1-1/2" thickness. 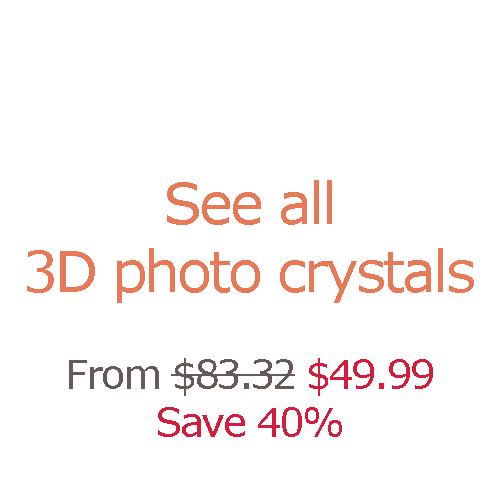 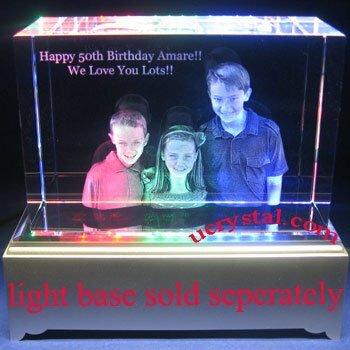 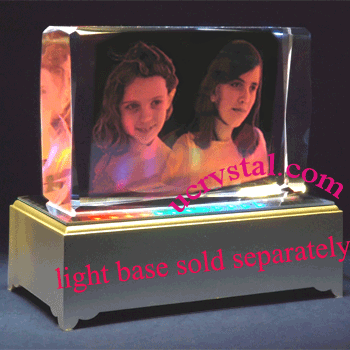 These heart 3D photo crystals are tailor made as wedding anniversary gifts, Valentine's Day gifts for your love ones, Mother's Day and Father's Day gifts.